It's been a good start to the year for Microsoft. Microsoft’s new collaboration platform, Microsoft Teams, is slowly but surely gaining momentum, and becoming a serious contester to the likes of Slack or Confluence. Writing a blog post about the platform’s latest achievements, Office CVP Kirk Koenigsbauer says Teams is ‘picking up steam’. Just in January, 300,000 organisations have actively started using Microsoft Teams. They are located across 145 markets, and speak 19 different languages. Koenigsbauer says Microsoft is ‘especially inspired’ by this early usage. 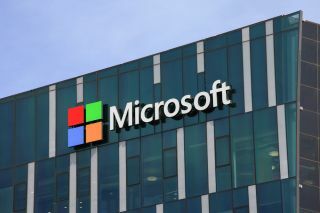 There are 85 million commercial monthly active users of Office 365, the CVP said, adding that nine out of ten (90 per cent) Fortune 500 companies run their business on the Microsoft Cloud. We can say that Microsoft has had a fairly good start to the year. Microsoft Teams is a ‘compelling tool’ when standalone, but as part of Office 365, it can be a ‘massive game-changer’, the blog post reads. Microsoft Teams is a new chat-based collaboration platform, available in Office 365.